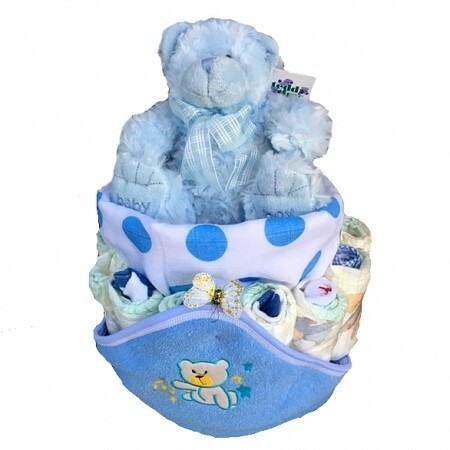 A practical gift to welcome the newborn baby boy. 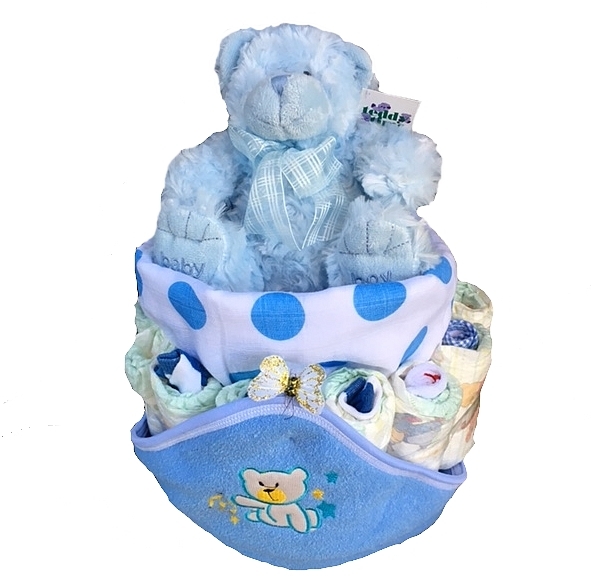 Gorgeous cuddly teddy (30cm), newborn Huggies nappies, soft hooded bath towel, muslin wrap, face washers & socks. If you require a baby girl version, please let us know in “Special Instructions’ when placing your order. 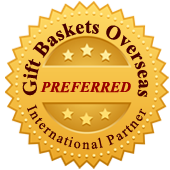 A cute yet practical gift.